New York, March 22 (Indian Express): India and China are “frenemies” which are working with each other despite disagreements, and the world can learn from that relationship, said Syed Akbarudin, India’s Permanent Representative in the UN. “In Hollywood there is a term, which has become quite popular. And that, I think, is called frenemies. That’s what we have with China. We engaged with them, we compete with them. In some areas we work with them together and in some areas we agree to disagree and move on,” Akbaruddin, said responding to a question after delivering the inaugural Ambassador Howard Schaffer Memorial Lecture at the Georgetown University on Tuesday. India has engaged with China on its development initiatives like Asian Infrastructure Investment Bank (AIIB) but opposed it on its Belt and Road(OBOR) initiative. “Belt and Road Initiative, to me, is not a normal multilateral or plurilateral approach…We are not party to that,” he said at the event organised by the Georgetown India Initiative. India skipped China’s high-profile Belt and Road Forum last year due to its sovereignty concerns over the USD 50 billion China-Pakistan Economic Corridor (CPEC), which passes through PoK. Touted as Chinese President Xi Jinping’s ambitious project, the One Belt One Road initiative focuses on improving connectivity and cooperation among Asian countries, Africa, China and Europe. While China and India are “frenemies” he said, others can learn from the relationship between the two countries. “Perhaps what others can learn from our relationship is that despite a border that is the longest undemarcated border in the world, there hasn’t been casualties on that border in the last 40 years,” he said. “If our Western neighbor (Pakistan) can also look at that as a model — we agree to disagree, we try and workout, if it doesn’t work, we continue to push out own interest. But the way of trying to resolve it through underhand death that by a thousand cuts is not going to help. We are a billion people. With thousand cuts, you would not reach a billion. So it’s best if we reconciled to each other,” he said. “Frankly to me, issues of India and Pakistan, the way you framed it are yesterday’s problems. This does not mean that we don’t need to address them,” he said, responding to a question. “This does not mean that they are not of a serious nature. 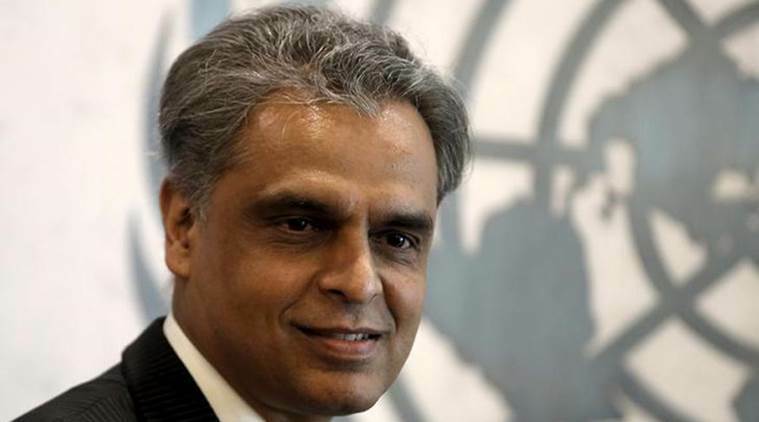 But in terms of where we look at ourselves 20 years from now or 25 years from now, we don’t see these as issues of a nature which will destabilize us in fundamental ways,” Akbaruddin said, adding that in the last one year not a single country joined Pakistan in raising the Kashmir issue at the UN General Assembly. “How come, other than the 13 times, Pakistan spoke, not one other country spoke. So is this today’s issue? It’s clear that others are not bothered about. The world has too many other issues to focus on. India and Pakistan need to address these as neighbors,” he said. Reiterating India’s position on the long due expansion of the UN Security Council, he rued that the present structure does not represent the current scenario. “If you do not provide as an opportunity to be part of the solution there are other ways that we would start finding to be contributing to a solution that may not mean something to everyone’s liking. But that will inevitably happen,” Akbaruddin said.